i didn't see the footer option to increase my form views and i see only see "JotForm Branding". which is enable by default.and my form views still remains. From what I am reading it looks like you might have some confusion aobut the form views and jotform footer. 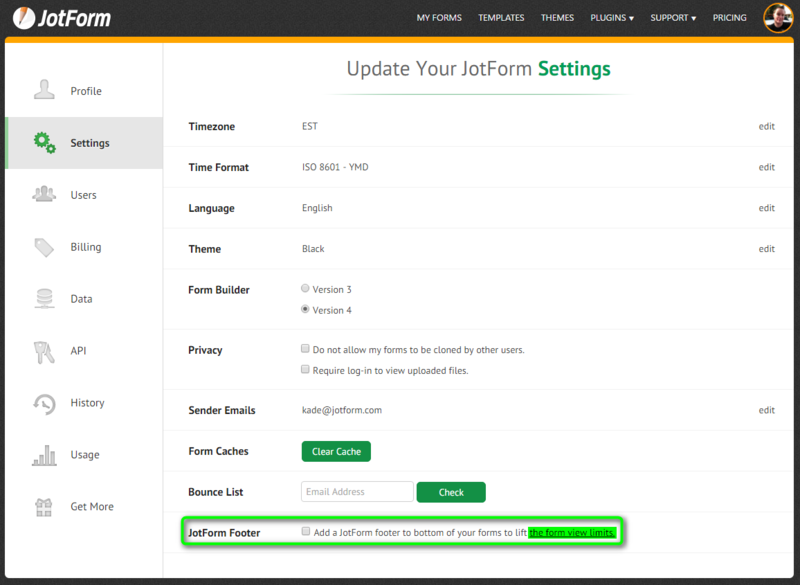 The jotform footer is apart of the jotform branding which is displayed at the bottom (footer) of your form and the option for it is in your account settings as described in the guide you commented on. By default this is enabled for free accounts and if you turn it off your form views will be counted until limited for the monthly allotment. The guide mentions this as well.